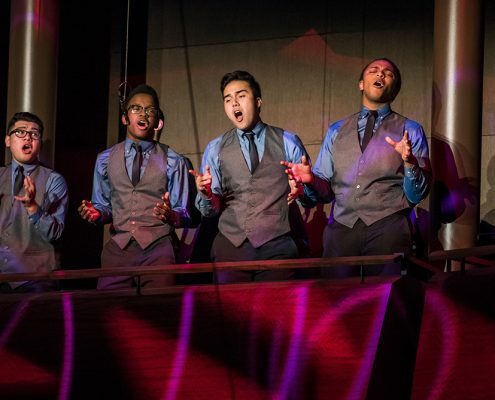 In a fast-paced program of dazzling production numbers, directed and choreographed by Jacquelyn Bird, the YPC choristers ages 8 to 18 were joined by their guest artists in a non-stop virtuoso mix that ran the musical gamut, and even included the entire audience participating in “To Sing,” a YPC commission from Michael Gordon, YPC’s composer in residence. 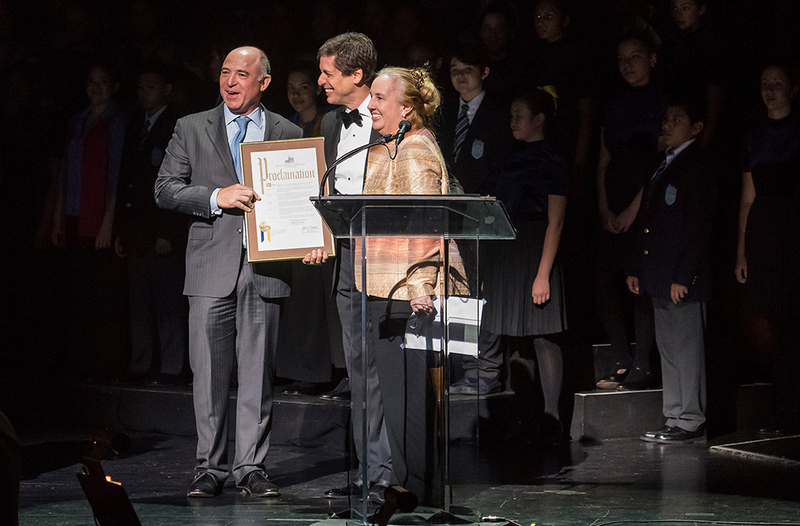 In a special moment of the evening, Manhattan Borough President Gale A. 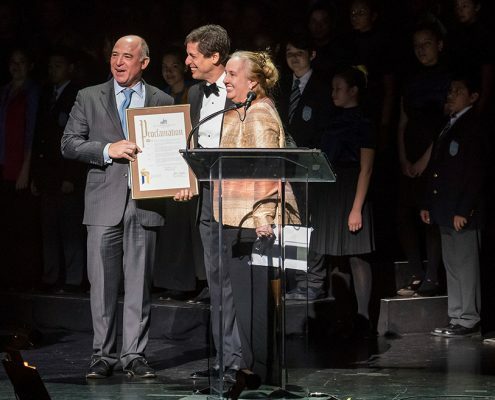 Brewer presented a Proclamation from her office to Mr. Núñez and YPC Chairman of the Board Adam Chinn. 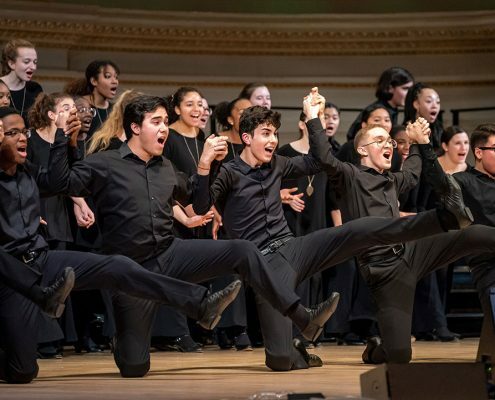 The concert was followed by a celebratory dinner in the Ballroom of the Mandarin Oriental, where YPC honored three individuals whose generosity strengthens YPC’s efforts on behalf of New York City’s children. 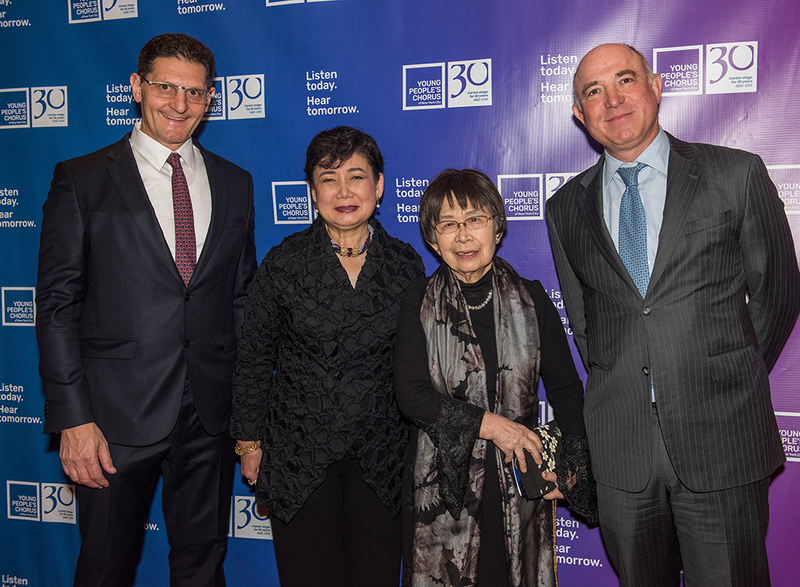 YPC corporate honorees are Michael Fraccaro, chief human resources officer of Mastercard and Saori Kawano, president and founder of Korin Japanese Trading Company. 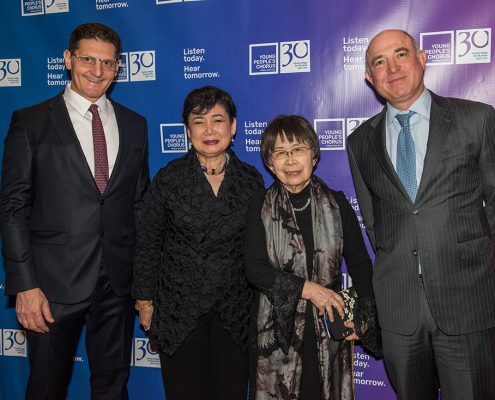 YPC presented its Humanitarian Award to Hiroko Onoyama, a cherished, longtime YPC board member. 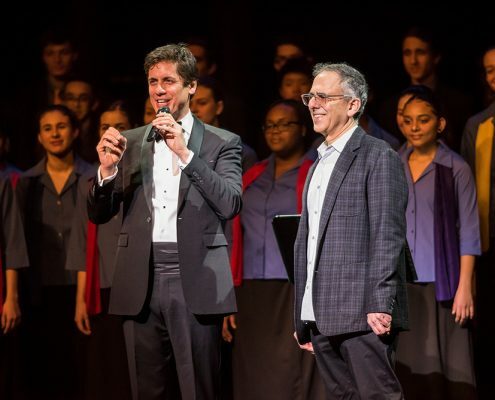 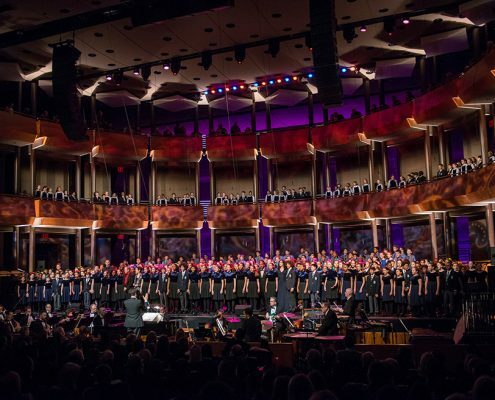 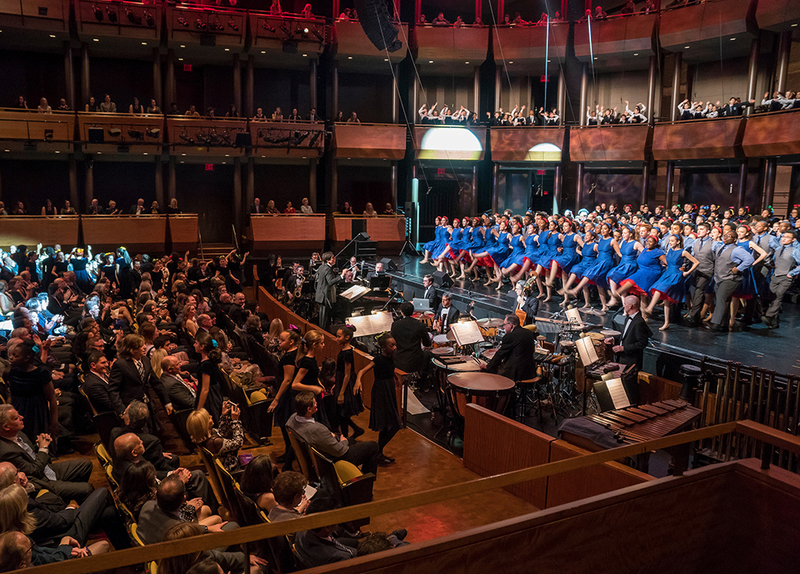 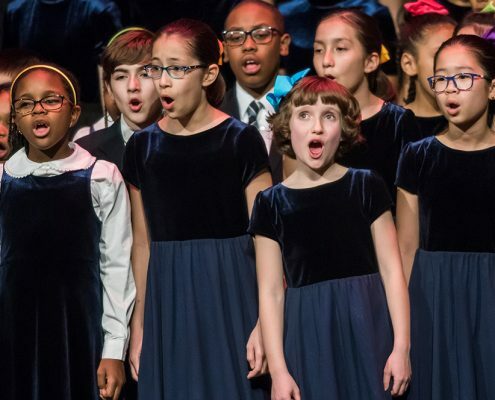 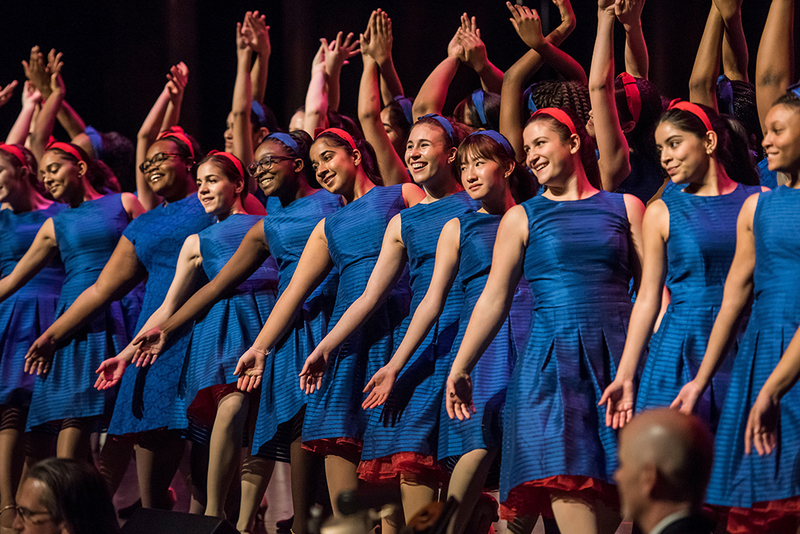 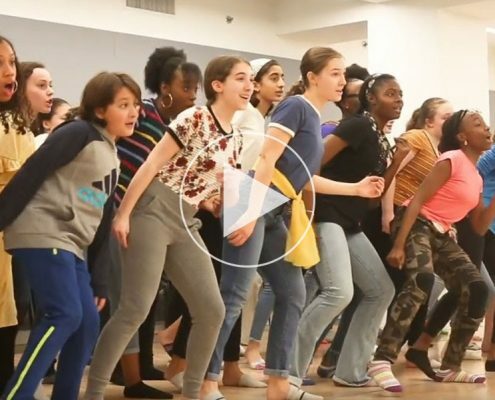 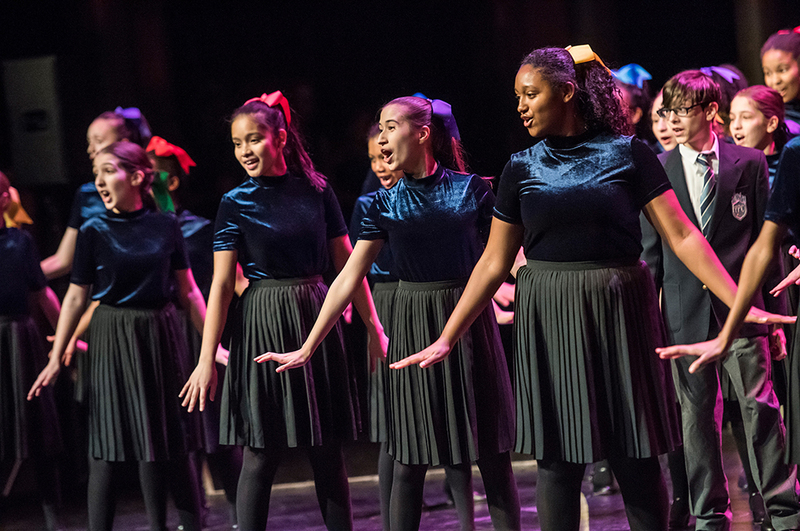 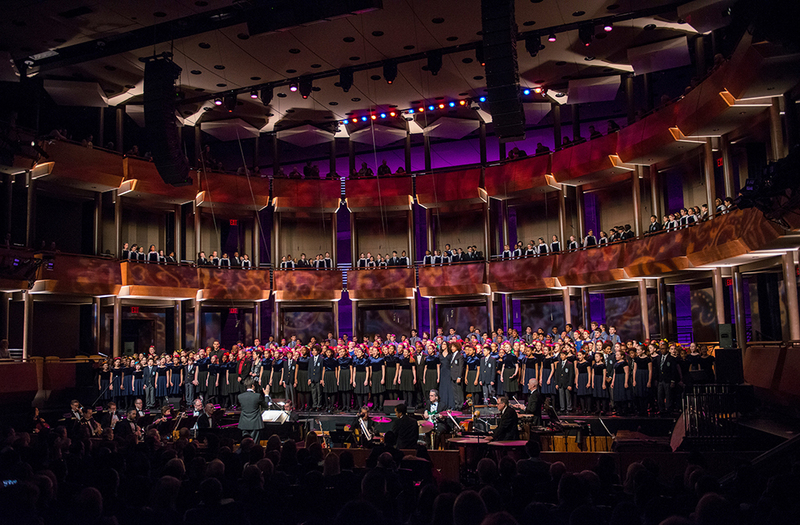 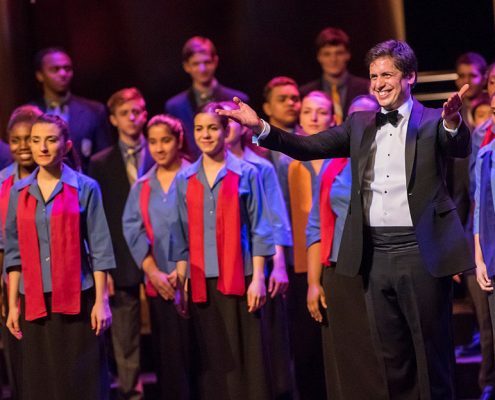 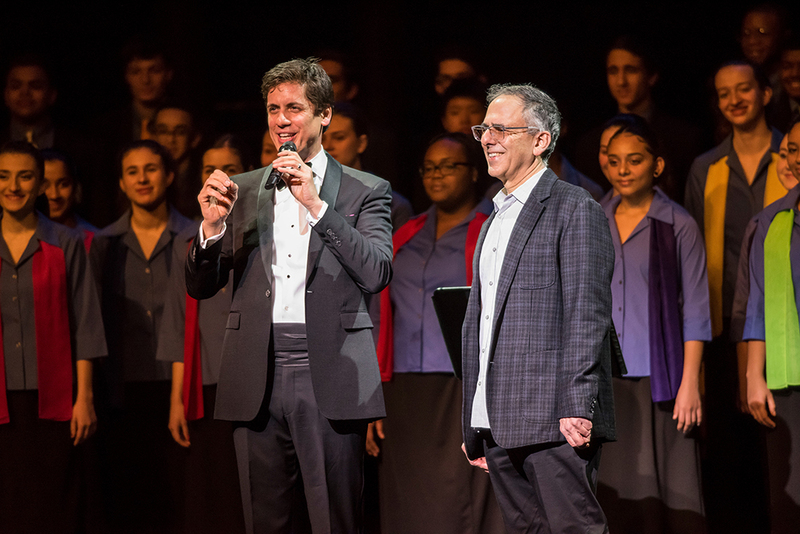 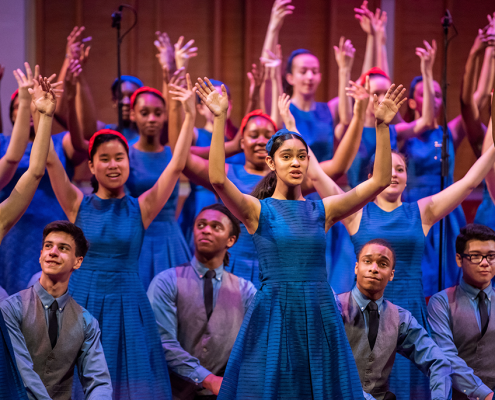 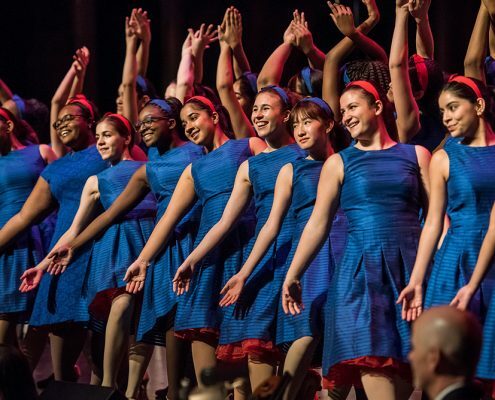 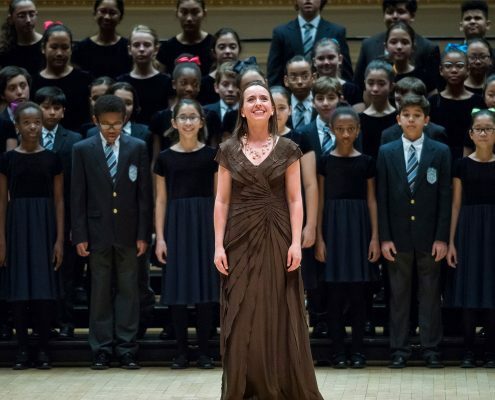 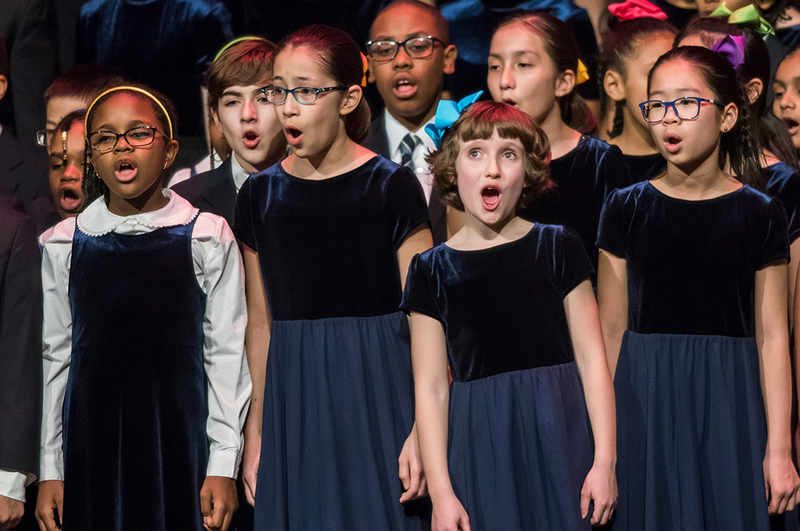 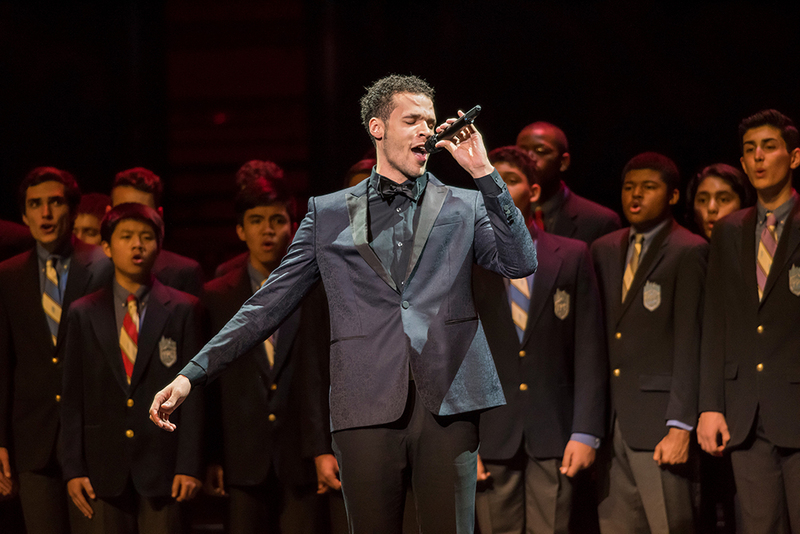 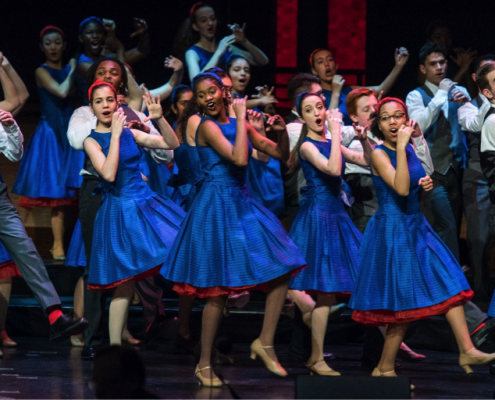 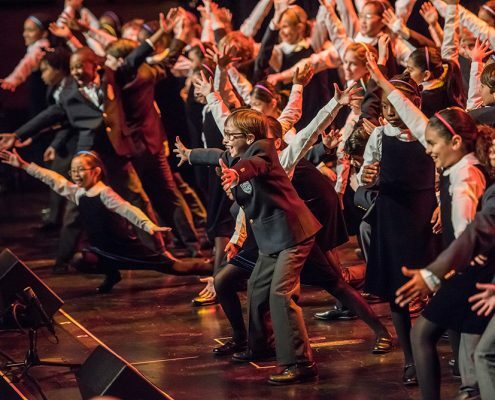 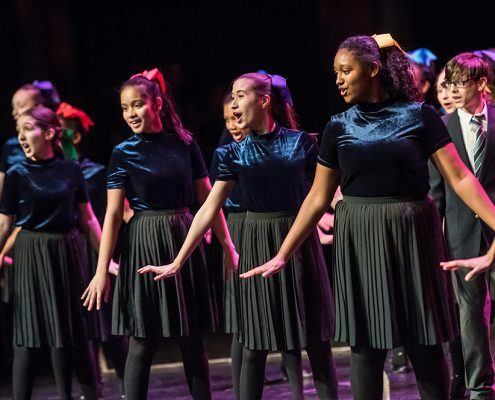 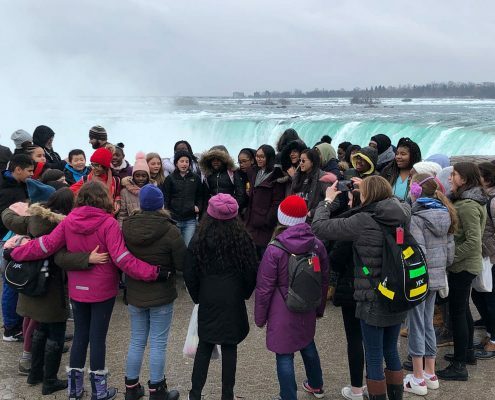 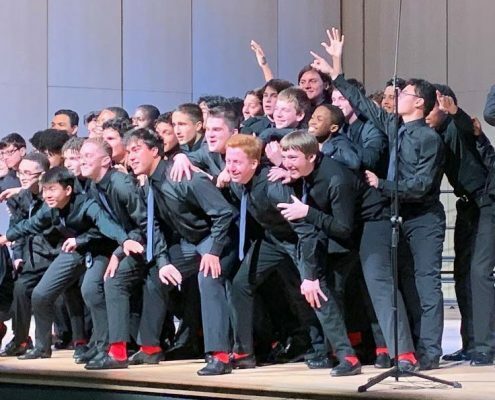 The Young People’s Chorus of New York City, internationally renowned for its superb virtuosity and brilliant showmanship, was founded in 1988 on a mission of diversity and artistic excellence by Artistic Director Francisco J. Núñez, a MacArthur Fellow and Musical America’s 2018 Educator of the Year. 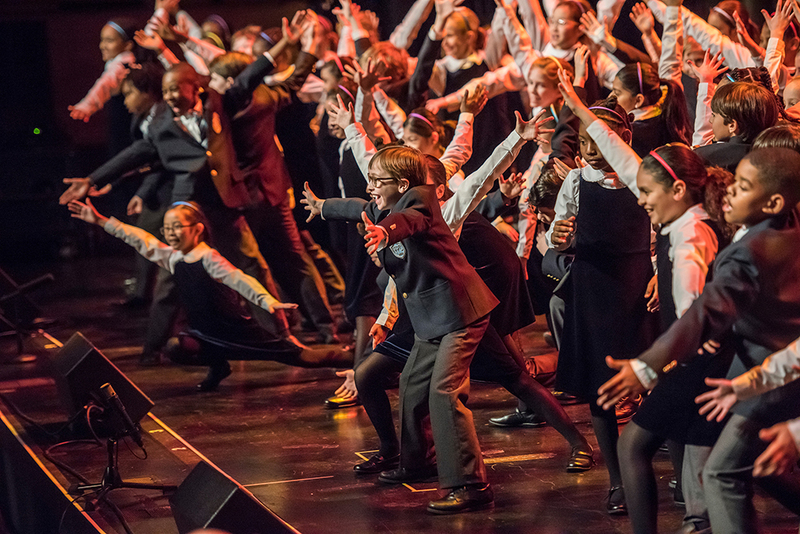 For 30 years the program has harnessed the power of music to fulfill the potential of children musically, academically, and socially. 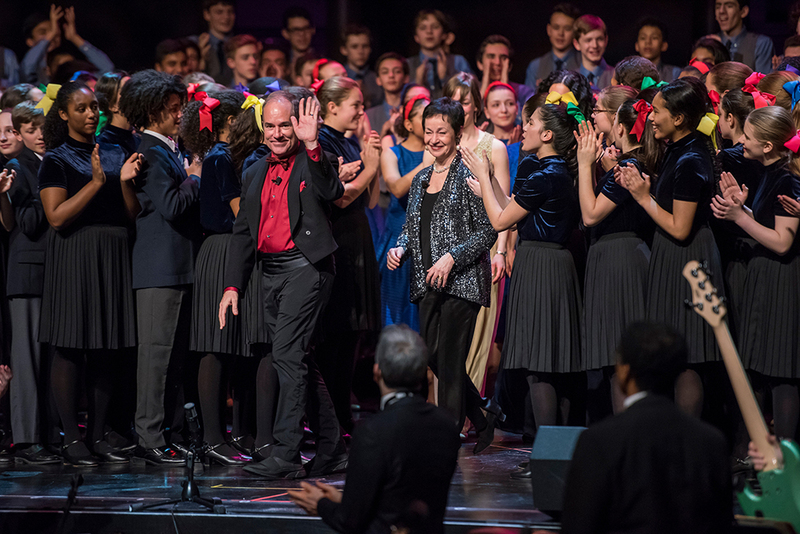 Today, under the leadership of Mr. Núñez and Associate Artistic Director Elizabeth Núñez, YPC reaches over 1,700 young people annually through its after-school, in-school, and community programs and is the recipient of America’s highest honor for youth programs: the National Arts and Humanities Youth Program Award. 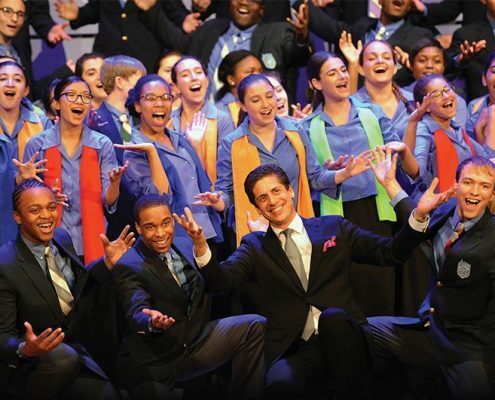 Visit ypc.org for more information. 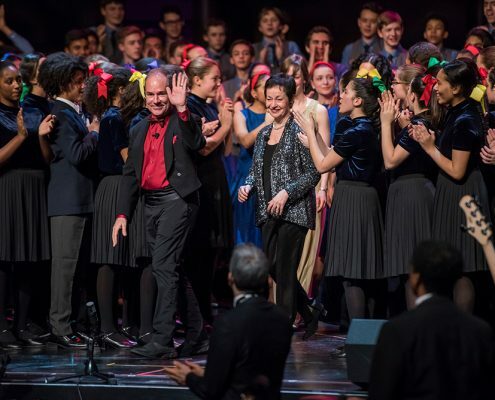 Lynn Ahrens and Stephen Flaherty have been collaborators in musical theater and film since 1983. 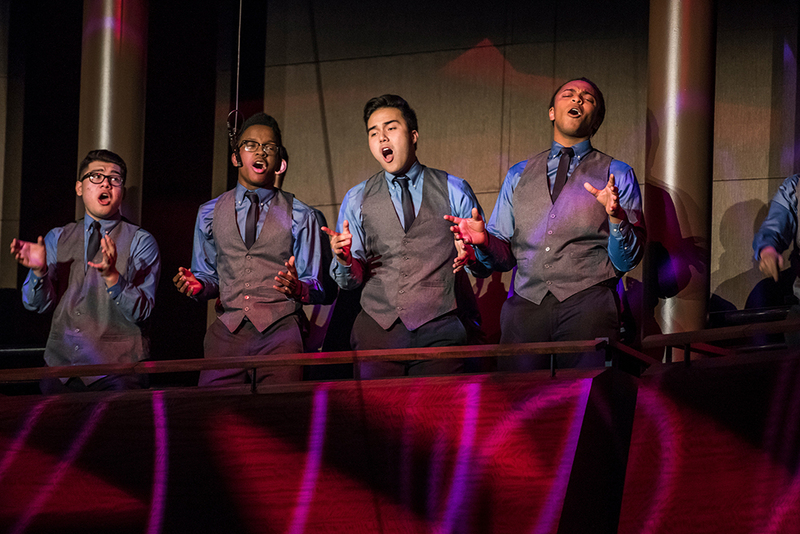 For Broadway’s Ragtime, they won Tony, Drama Desk and Outer Critics Circle Awards. 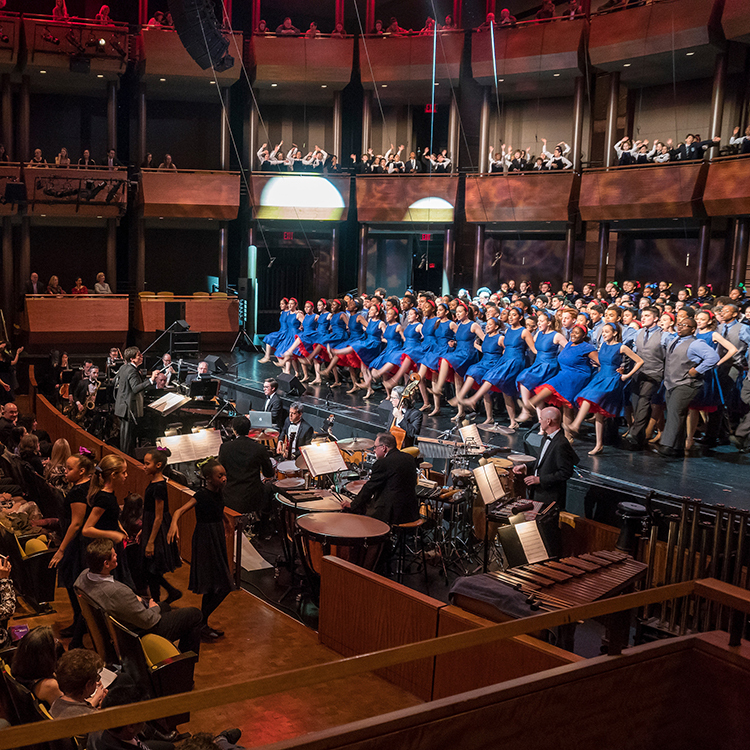 They were nominated for two Academy Awards and two Golden Globes for Twentieth Century Fox’s animated feature Anastasia. 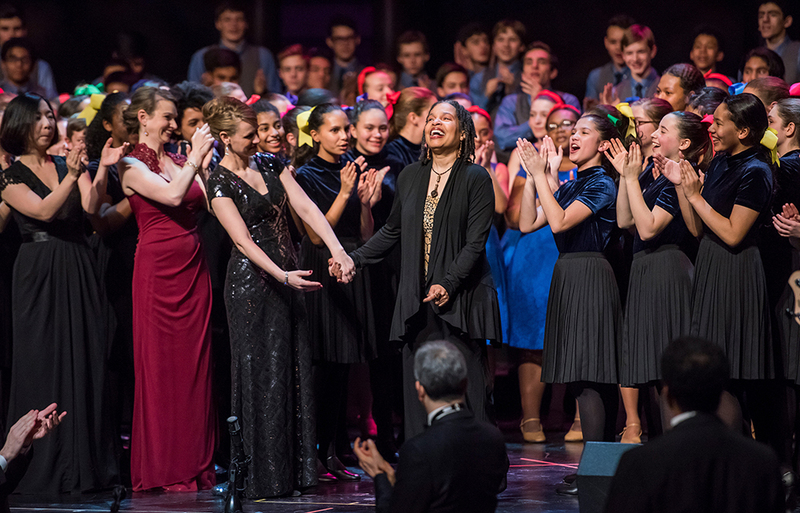 They are currently represented on Broadway by two hit shows—Anastasia, and the revival of Once on This Island. 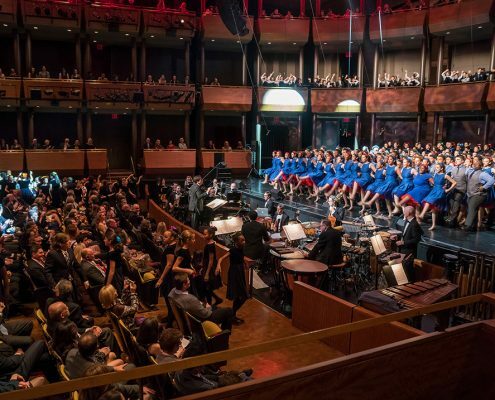 For more information, visit ahrensandflaherty.com. 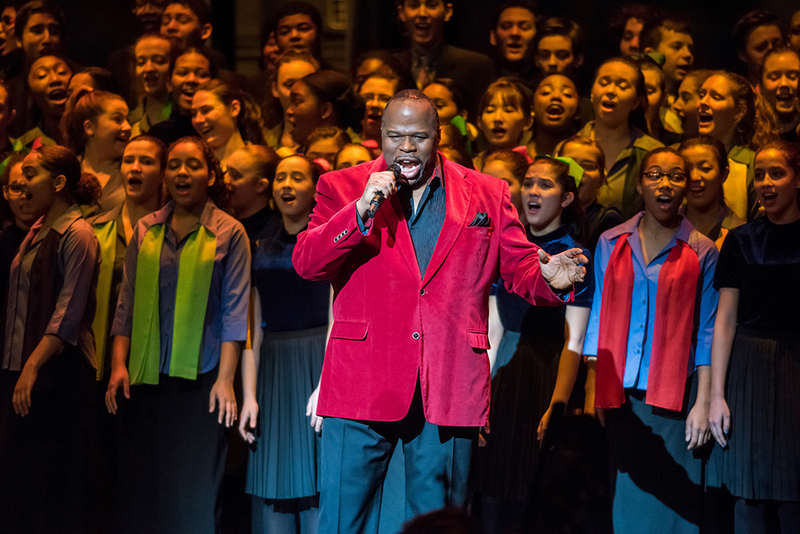 Lester Lynch, widely known for his charismatic portrayals and commanding voice, has established himself among today’s most important dramatic baritones on the opera and concert stages throughout Europe and in the U.S. and on his Pentatone label recordings. 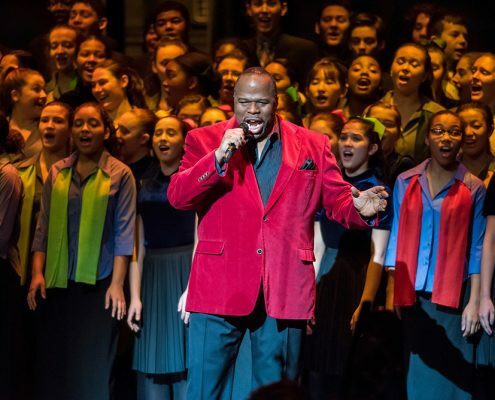 Mostly recently, these recordings include Verdi’s Otello, in the role of Iago with the Gulbenkian Orchestra, and On My Journey Now, his acclaimed disc of spirituals and hymns. 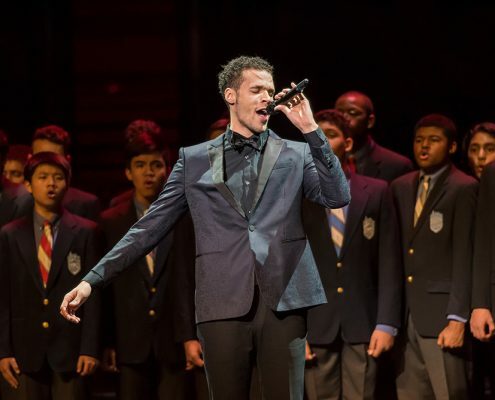 For more information, visit lesterlynch.com. 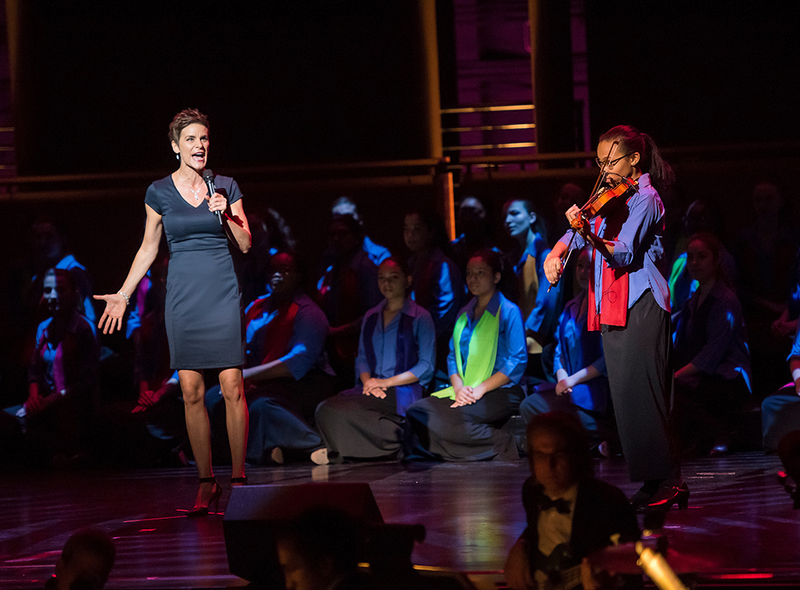 Jenn Colella is a Tony Award nominee for her role as Capt. 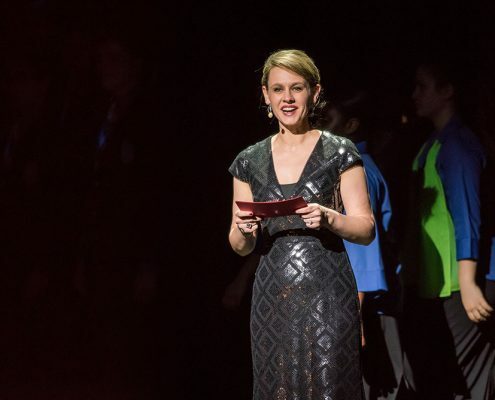 Beverley Bass in Broadway’s Come From Away, a role that also garnered her a San Diego Theatre Critics Circle Award, a Helen Hayes Award, Toronto’s My Theatre Award, a Dora Award, an Outer Critics Circle Award, and the Drama Desk Award for outstanding featured actress in a musical. 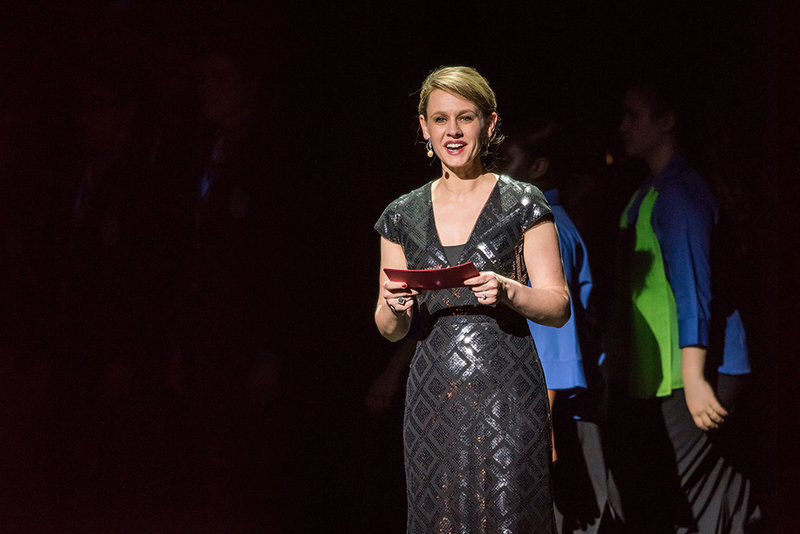 She has also appeared on Broadway in Urban Cowboy, High Fidelity, Chaplin, and a year-long run of If/Then and off-Broadway in such productions as Don’t Quit Your Night, Lucky Guy and Closer Than Ever. 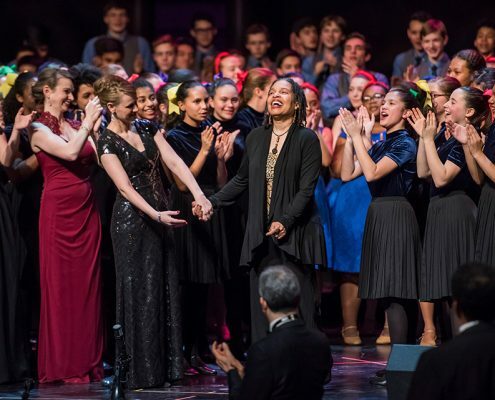 She frequently appears on TV in various guest roles and teaches master classes in New York and universities across the country. 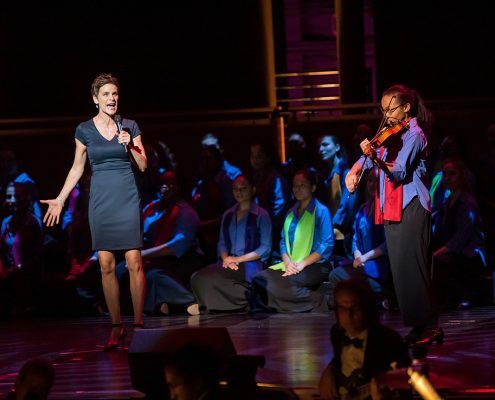 For more information, visit jenncolella.com.